Popular luggage bags with great reviews, we hope to have what you are looking for. Hi-Vis Rucksack. 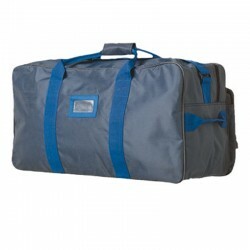 Ideal for workers cyclists or school children who use highly reflective accessories..
Holdall bag. Ideal for carrying tools or for use as a travel bag these practical stylish bags have m..
Multi-Pocket Travel Bag. A compact design with spacious interior the Multi-Pocket Travel Bag offers ..
Quick Release Hi-Vis Rucksack. The B904 features fabric and reflective tape fully certified to GO/RT.. The Multi-Pocket Trolley Bag. A practical and hardwearing bag innovatively designed to provide a var..
Travel Bag. Ideal for carrying tools or for use as a travel bag these practical stylish bags have mu..